Nintendo console embraces television. Again. Nintendo Wii - the future of television! While you have been able to get iPlayer on the Wii for some time now, the BBC launches a new version today which is fully optimised for TV display via its screen. Previously, it was rather fiddly (to say the least!) to navigate iPlayer content on your TV via the Wii. The new 'big screen' version of the iPlayer interface which has been designed specifically for the Nintendo console fixes this niggle. 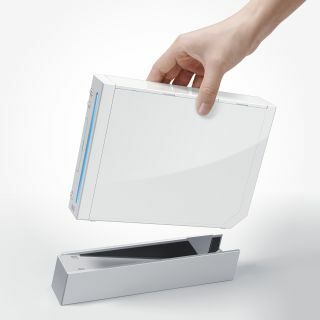 Anthony Rose, head of the BBC's online media group, said: "The new Wii version has a simplified user interface that presents just a few options on screen at a time and nice big chunky controls - easy to aim at with a Wiimote." iPlayer plays back in full screen mode automatically. All we need now are improved video codecs to improve the overall video quality. See, we're never actually happy. The 'big screen' iPlayer could well be adapted for other consoles and set top boxes. More news on that as we get it from Aunty Beeb.